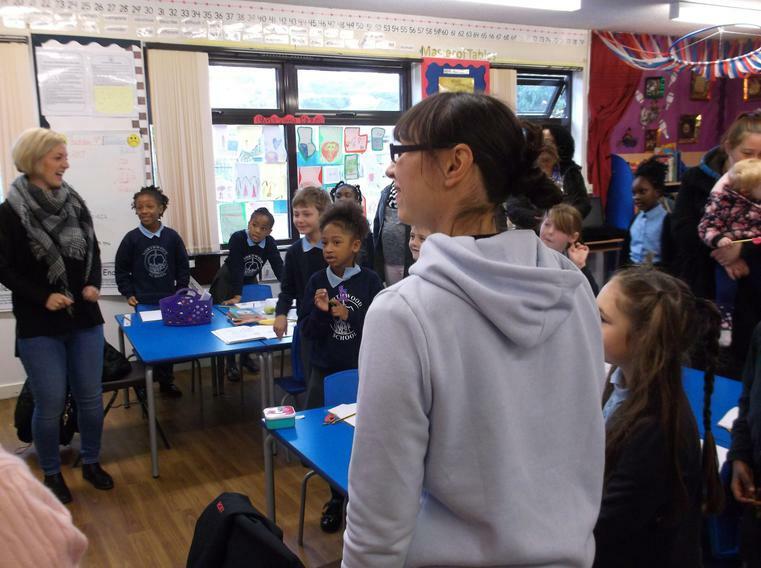 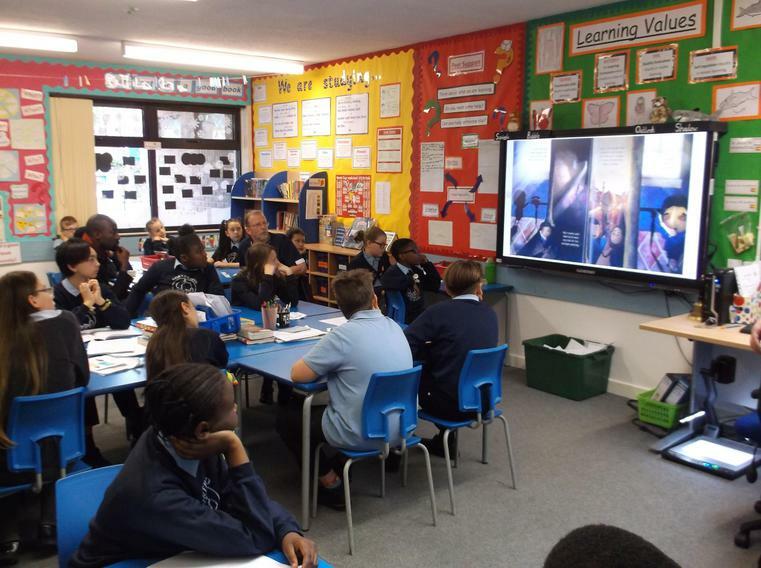 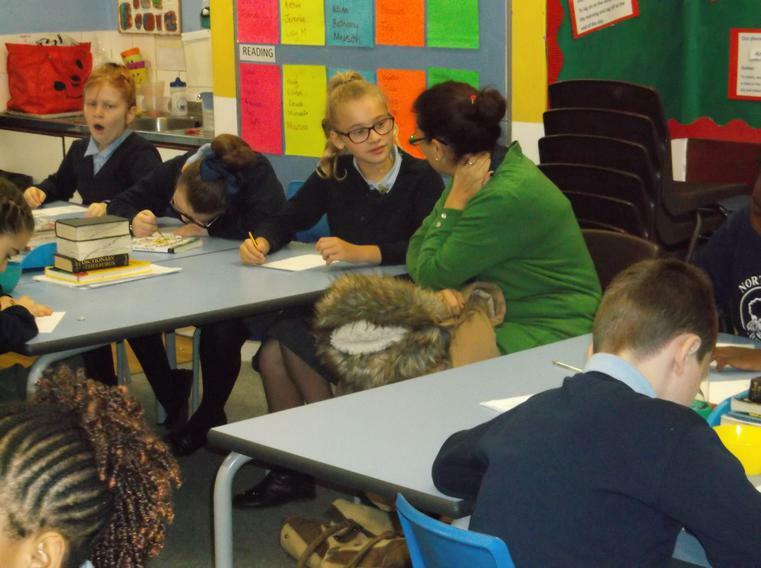 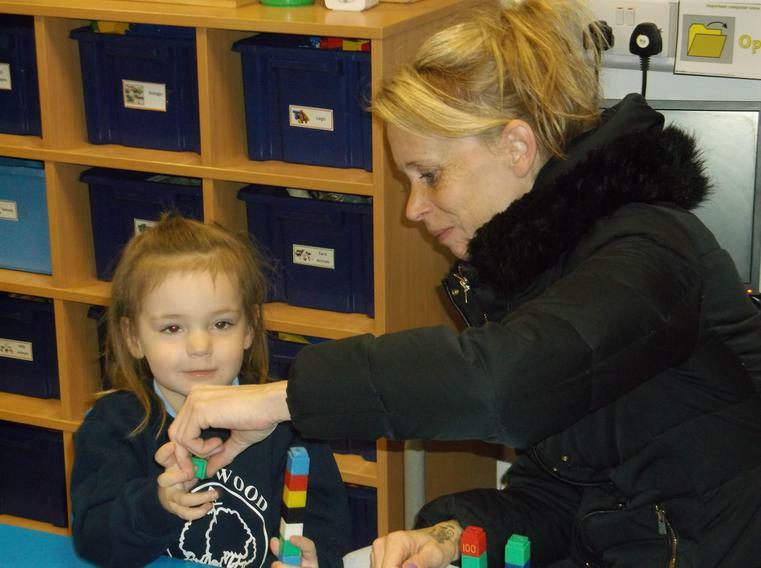 Each term we hold a 'Stay and Learn' session. 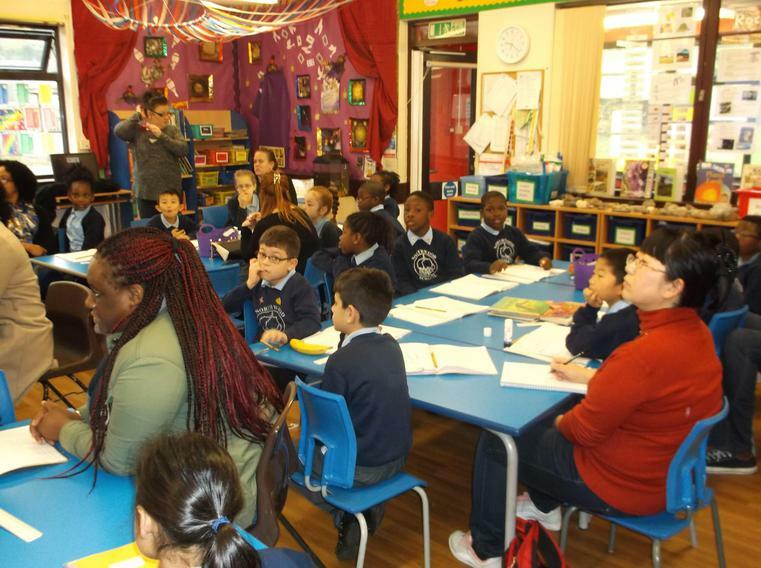 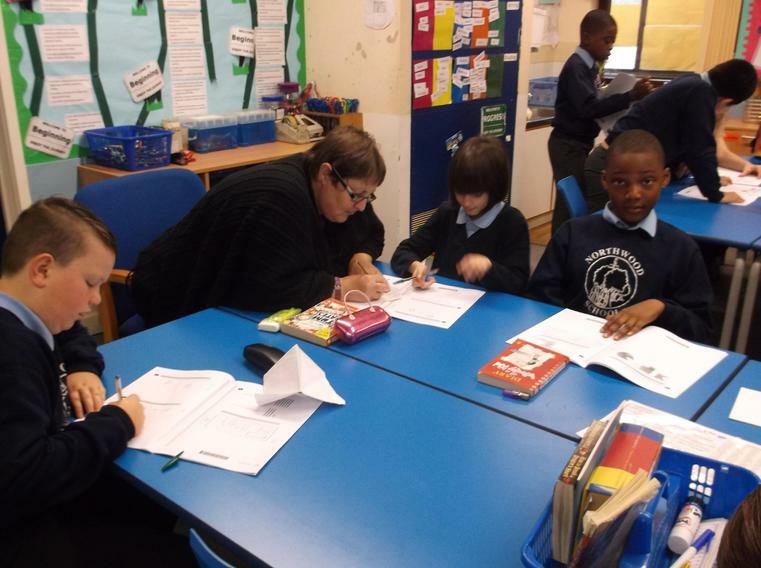 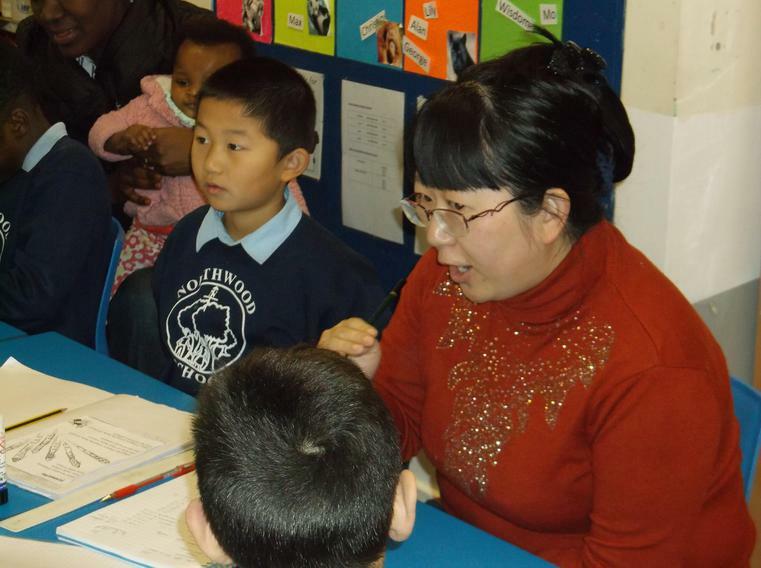 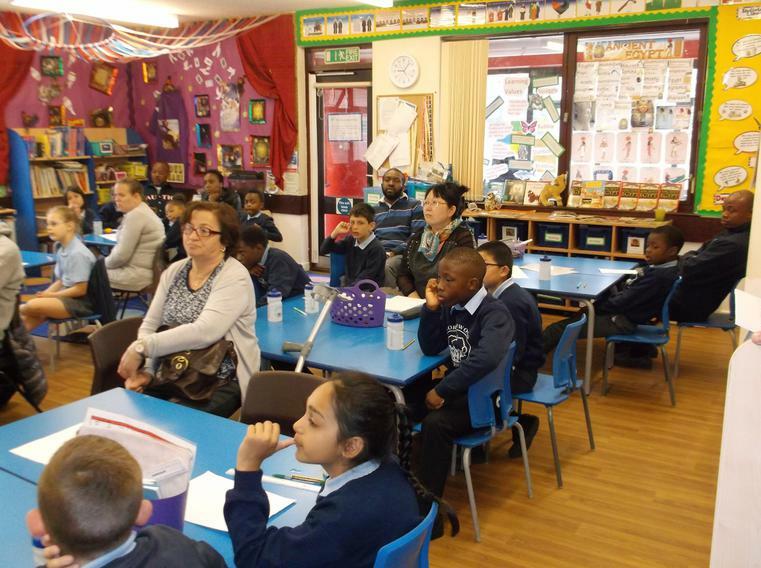 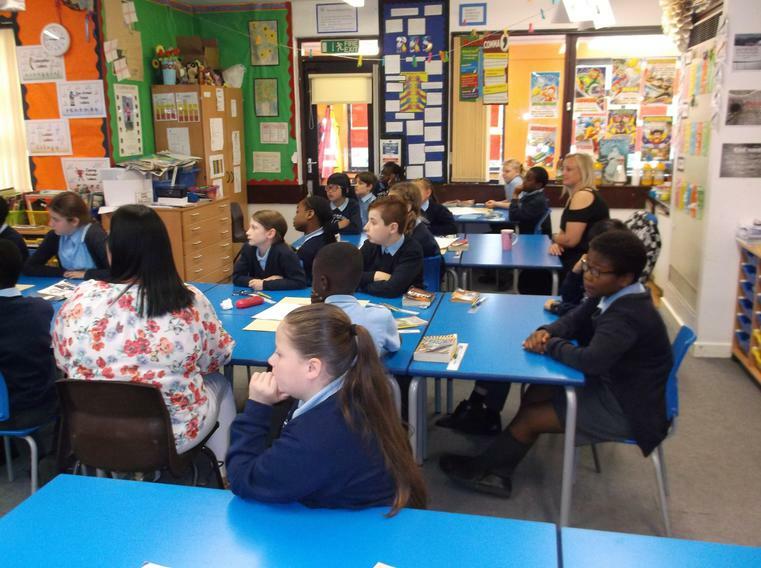 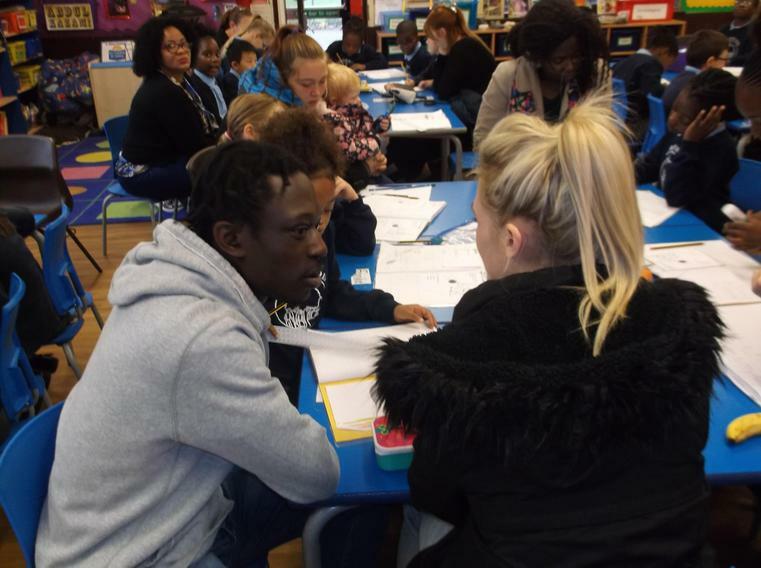 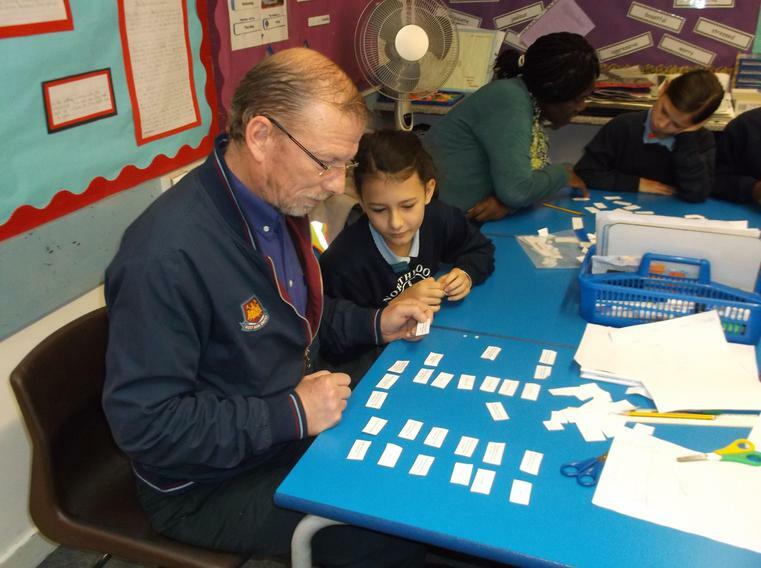 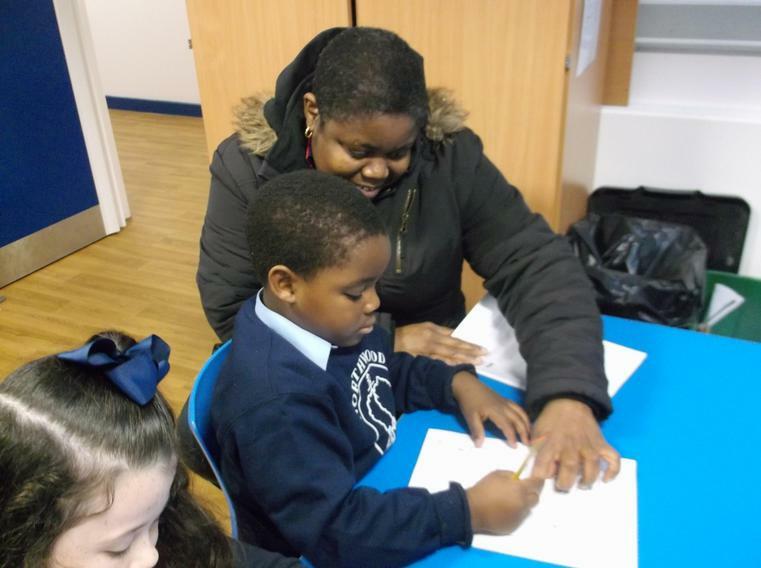 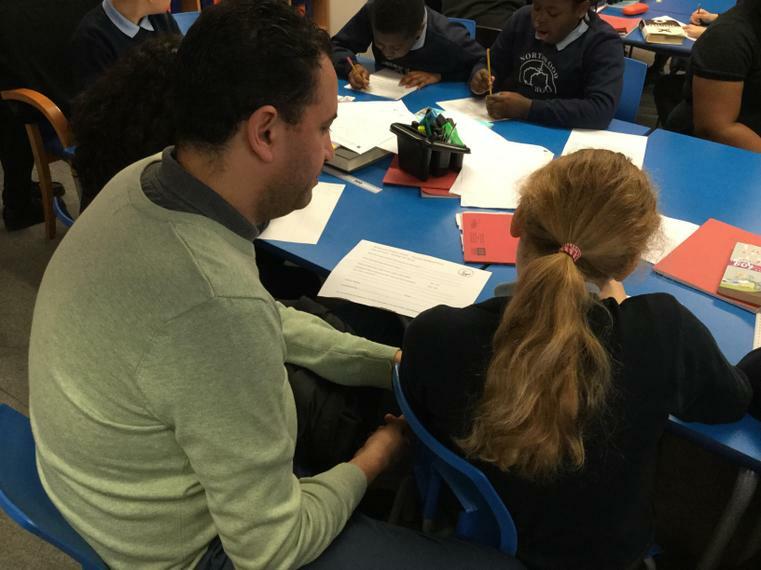 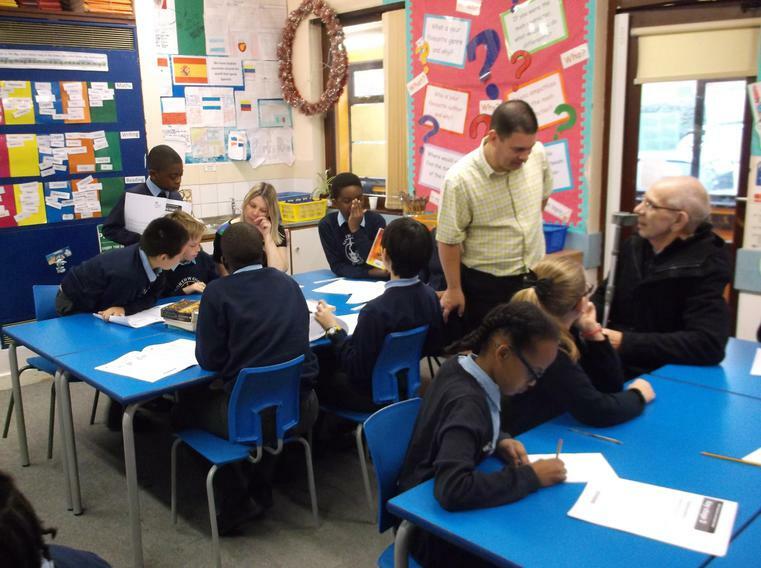 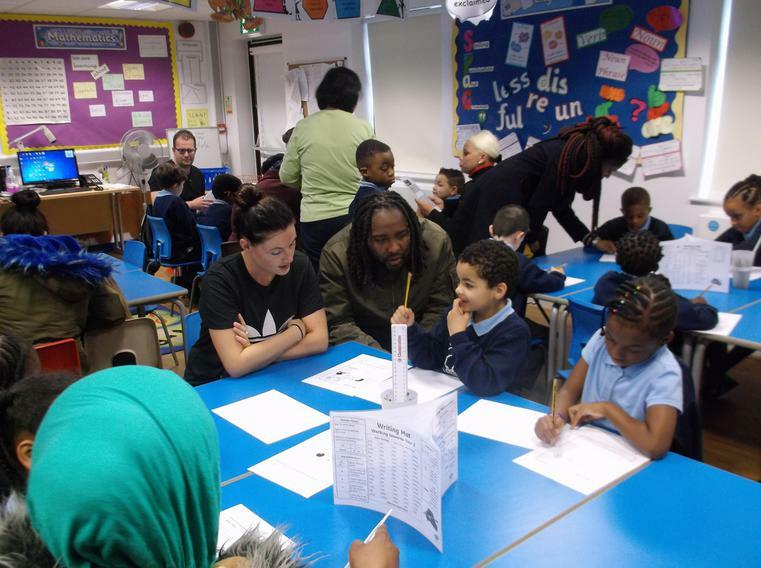 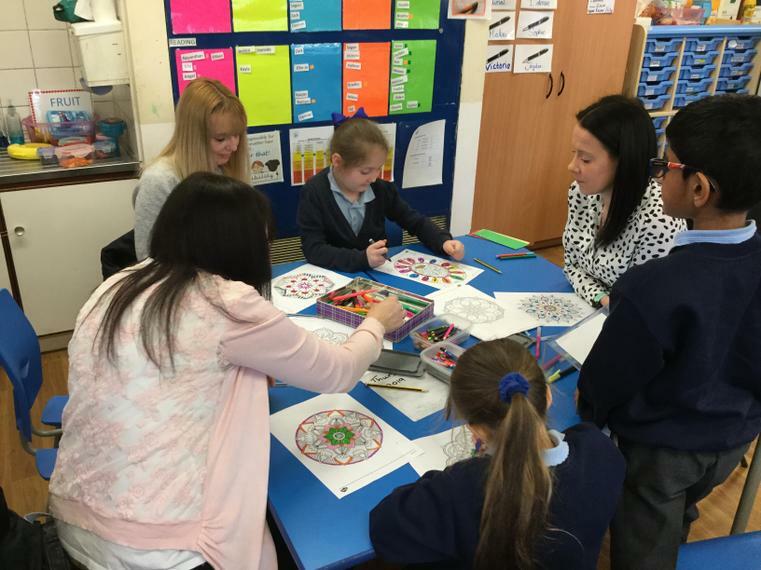 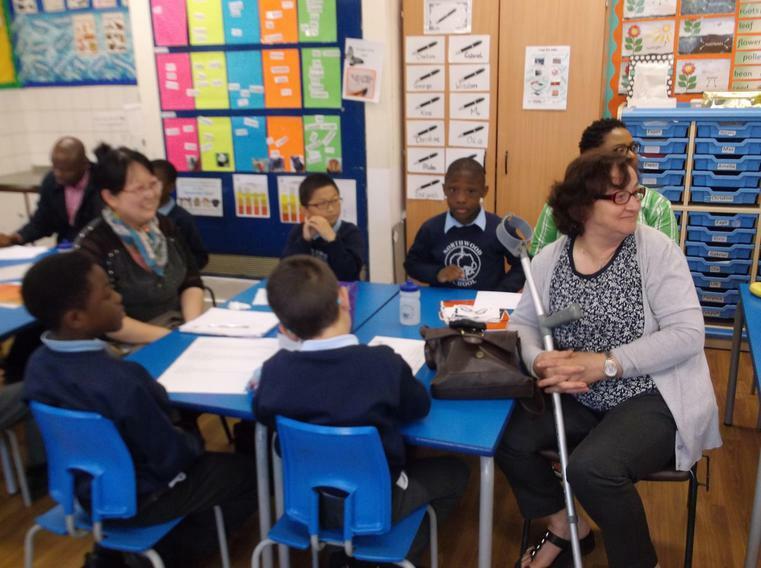 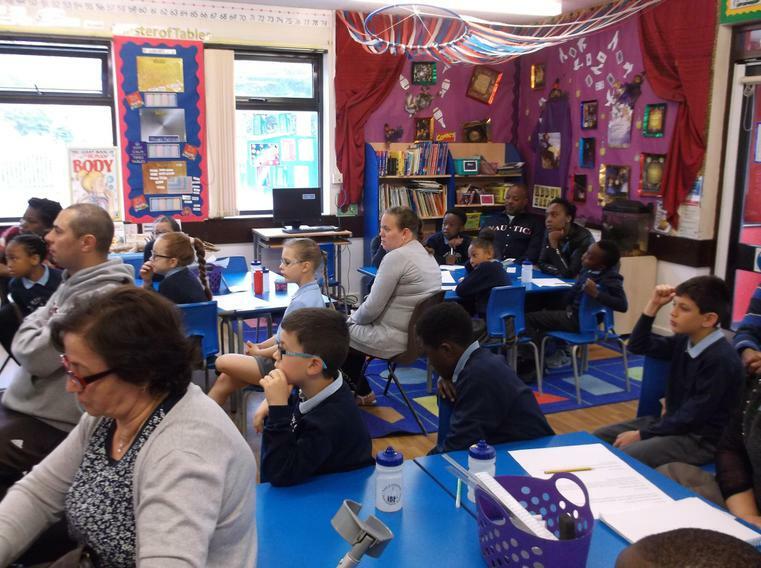 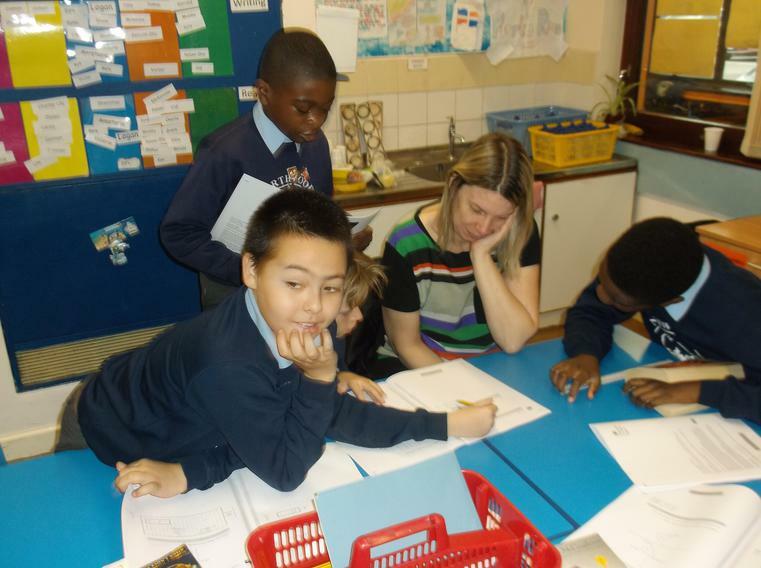 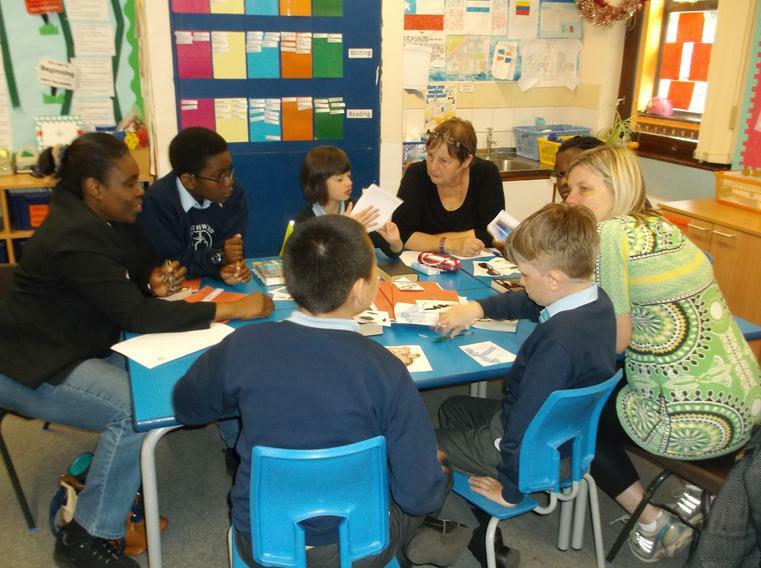 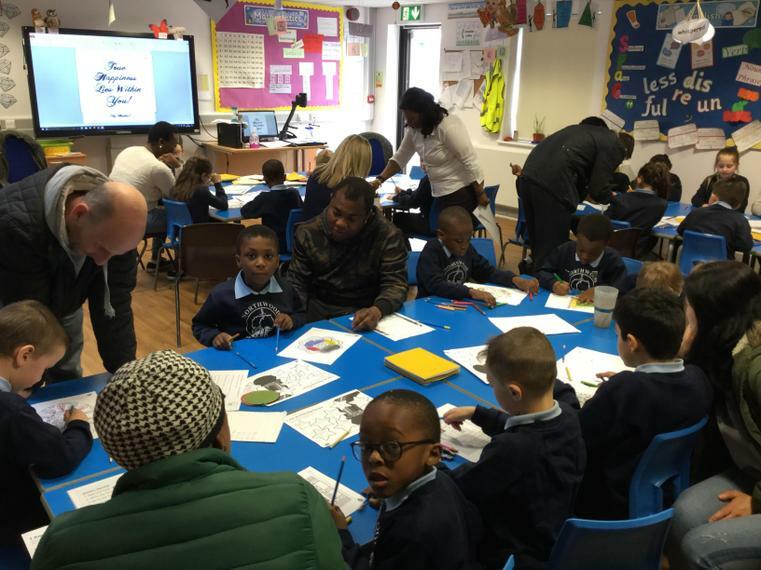 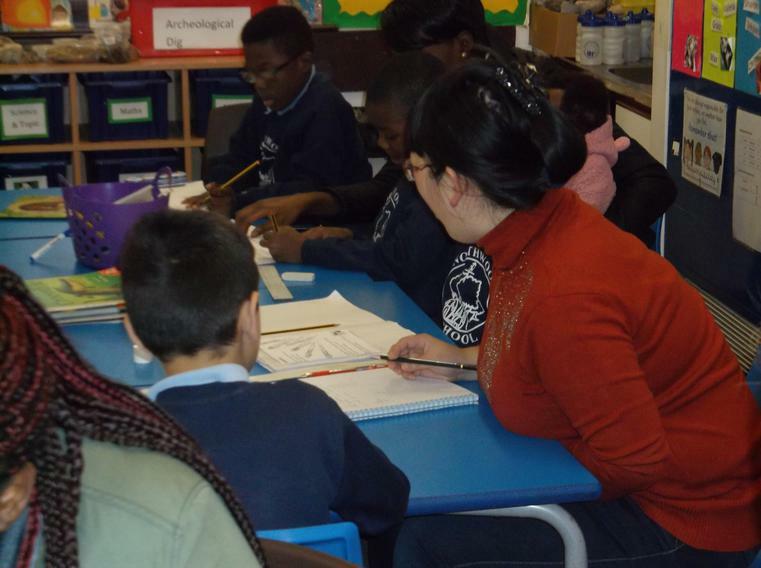 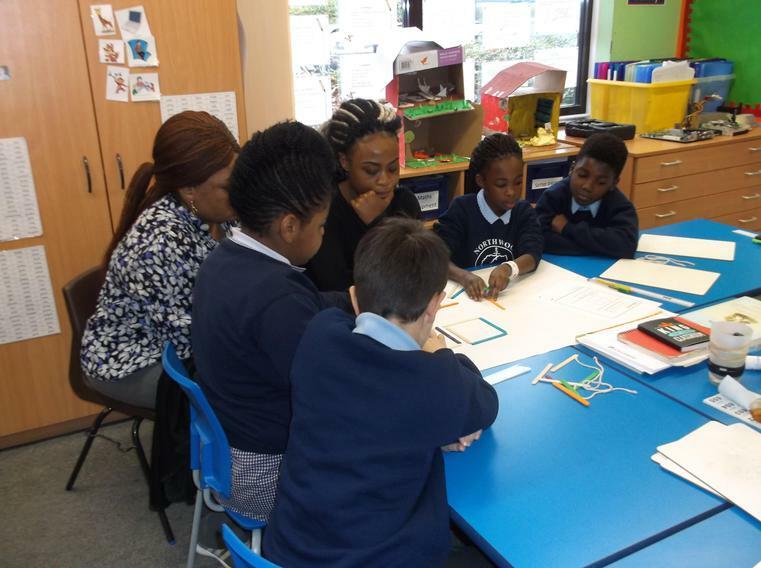 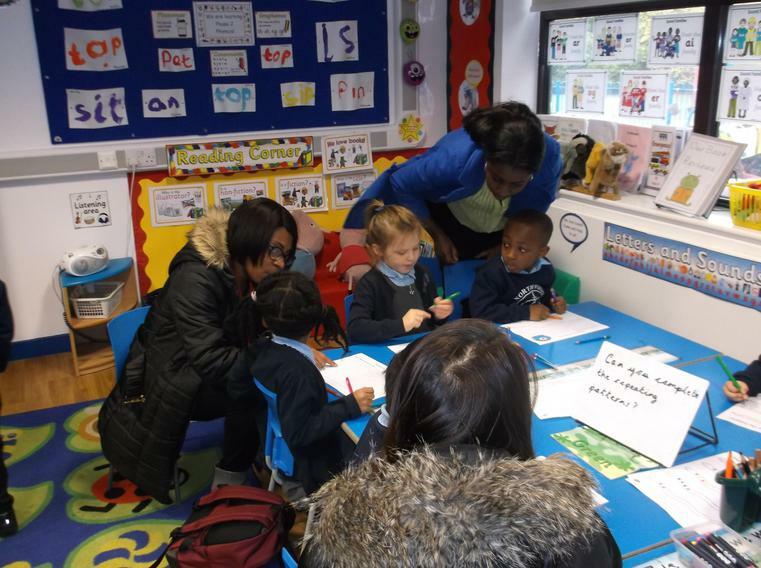 The sessions are an opportunity for parents and carers to join in with the learning in their child's class. 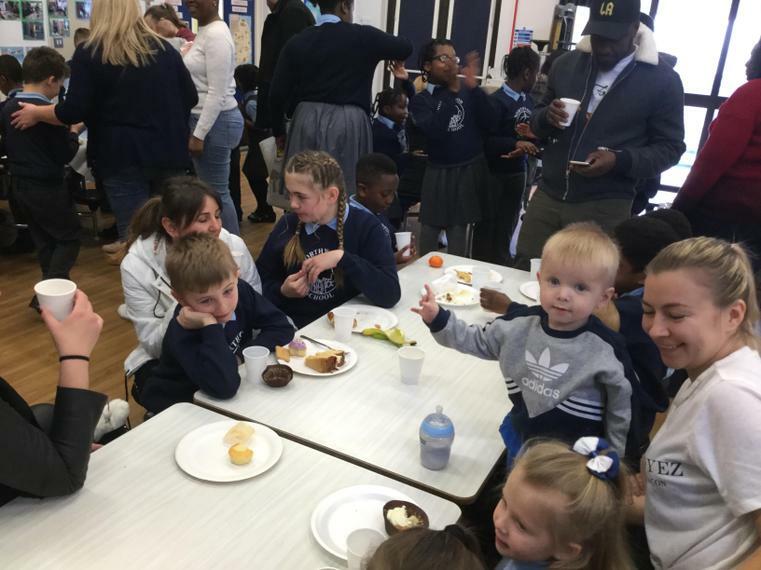 Connect with the people around you. 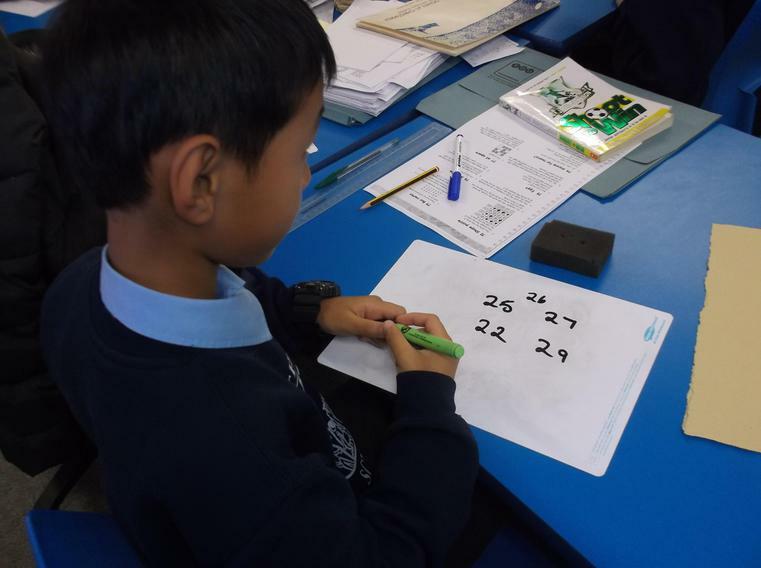 Keep learning - try something new. 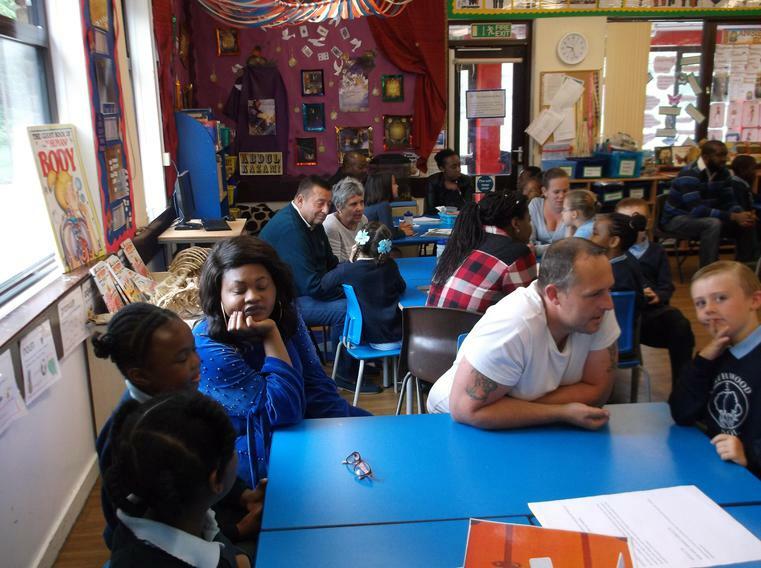 It was fantastic that so many of our parents were able to join us. 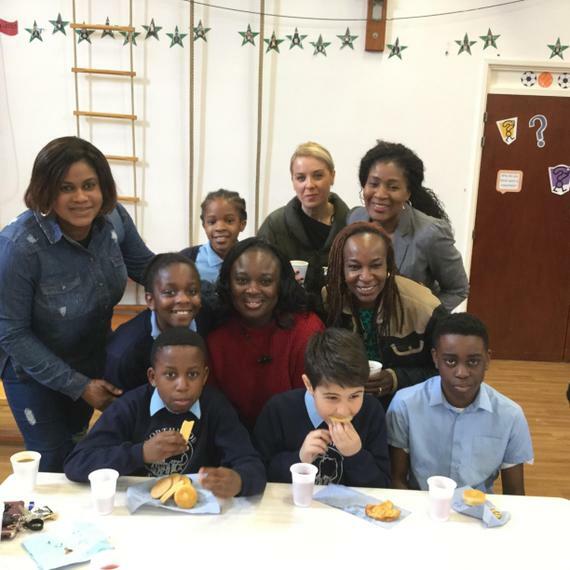 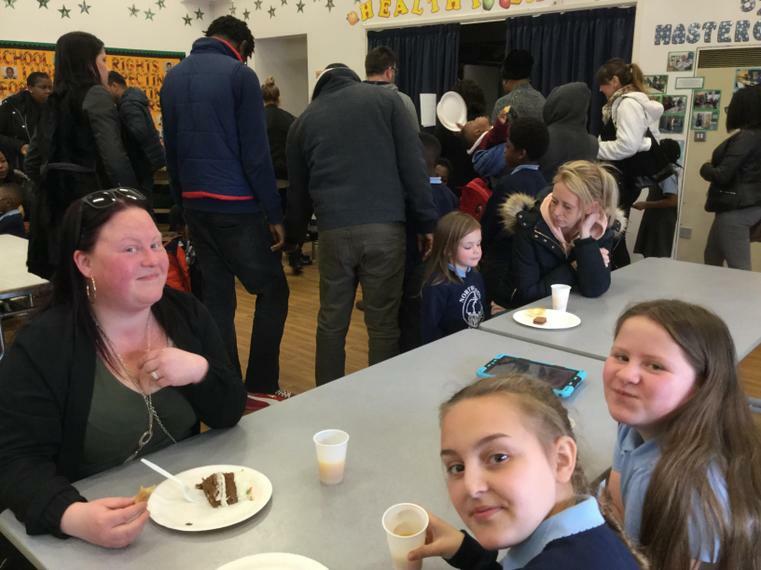 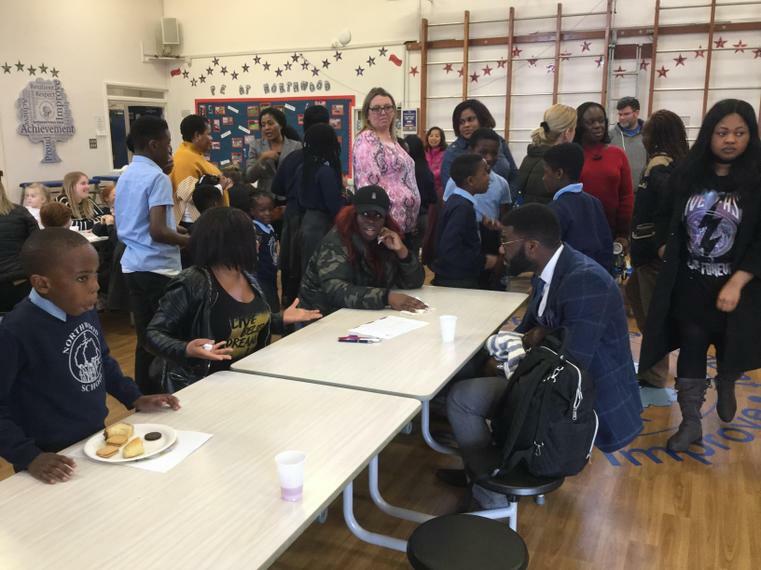 After the Stay and Learn session parents moved into the hall for a coffee morning which extended the wellbeing principles even further! 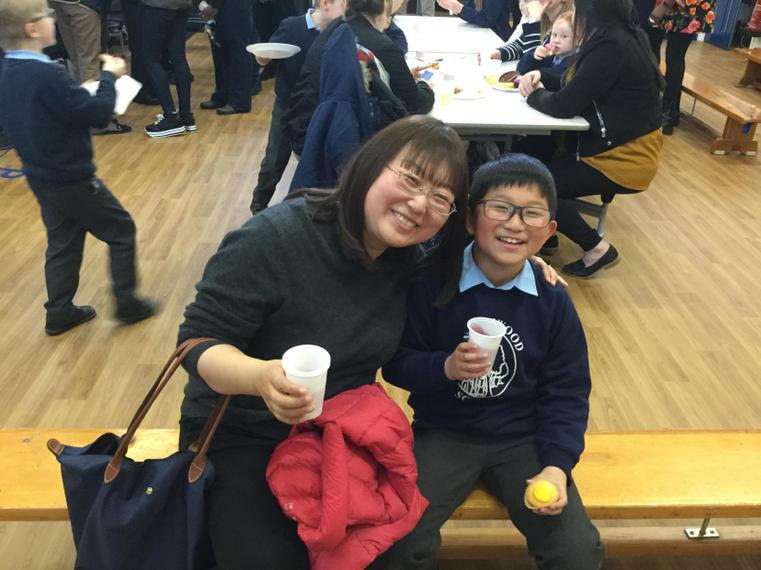 Parents brought food to share and it was a wonderful opportunity to get to know someone new. 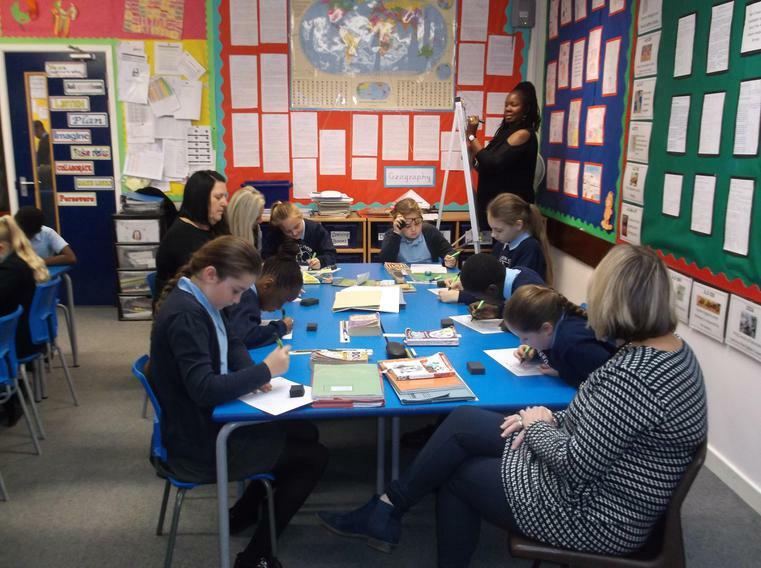 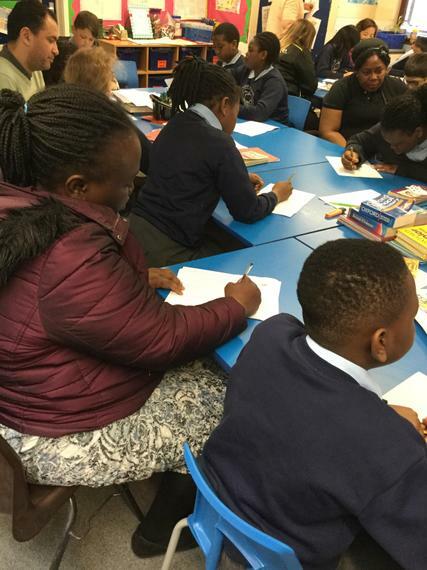 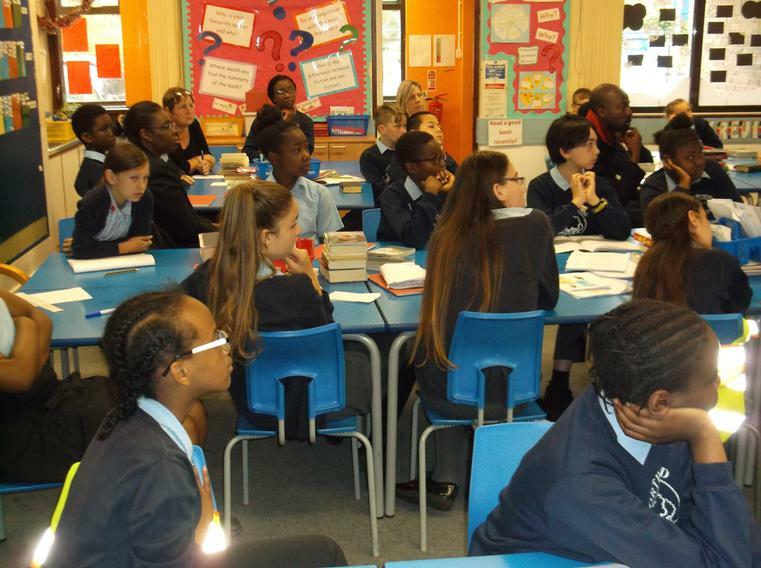 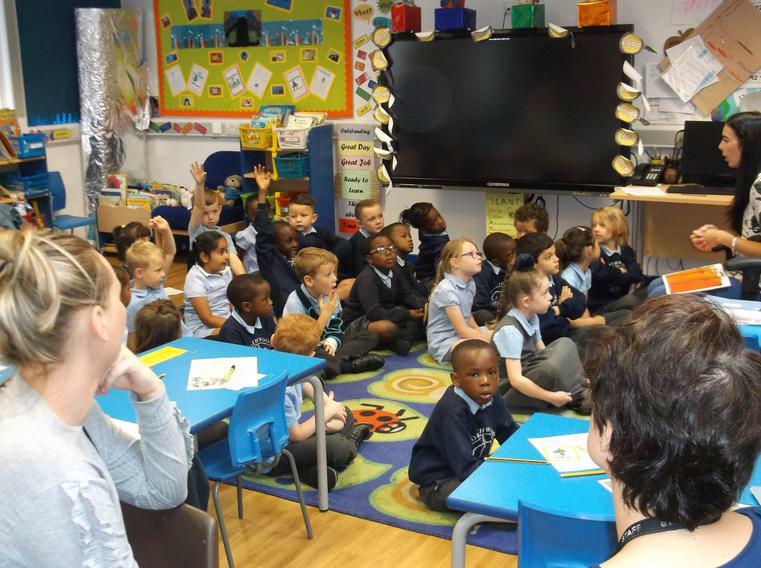 On Thursday 14th June 2018 we held a Stay and Learn session with a Rights Respecting Schools focus. 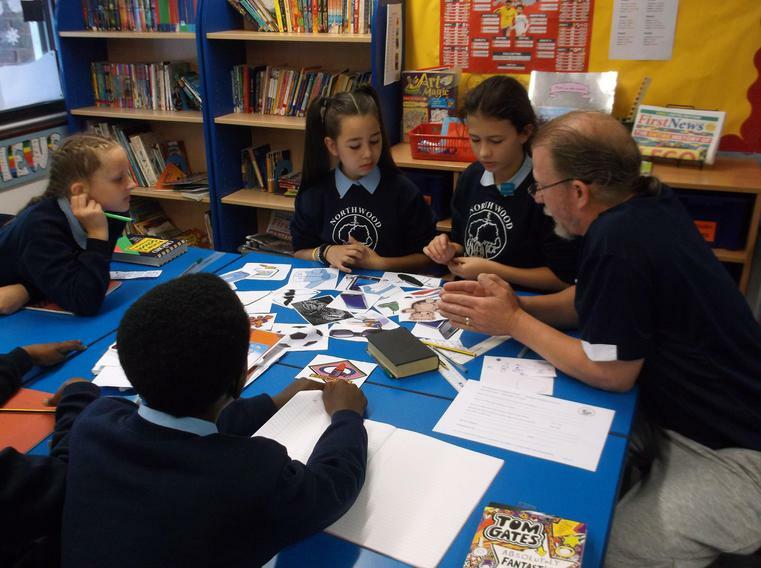 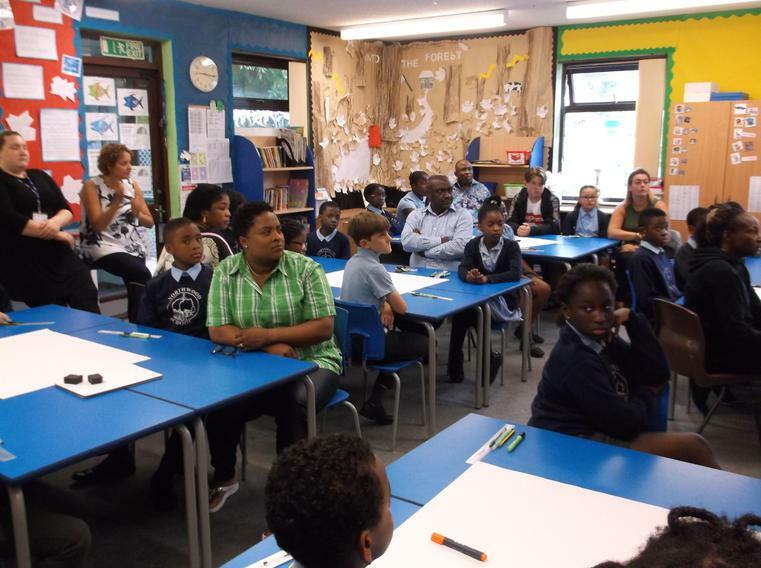 The session centered on the plight of refugees and children thought about how they would feel if they were forced to leave their homes suddenly and travel to a new country. 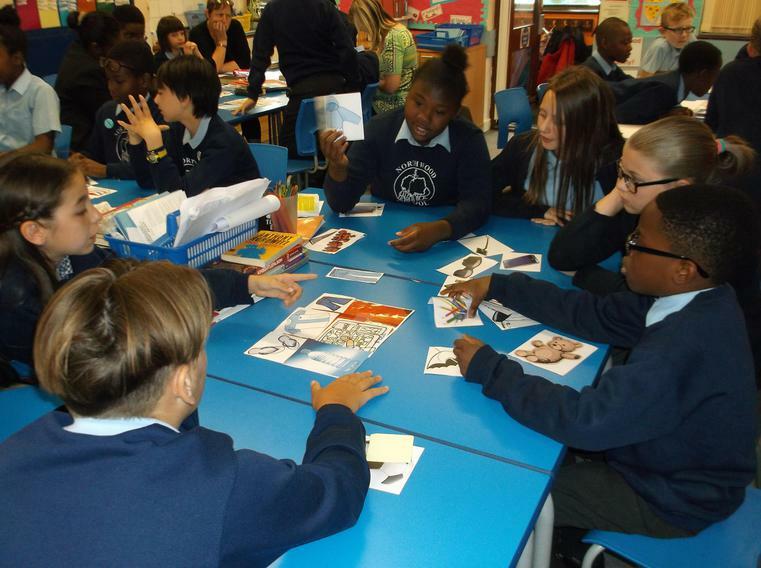 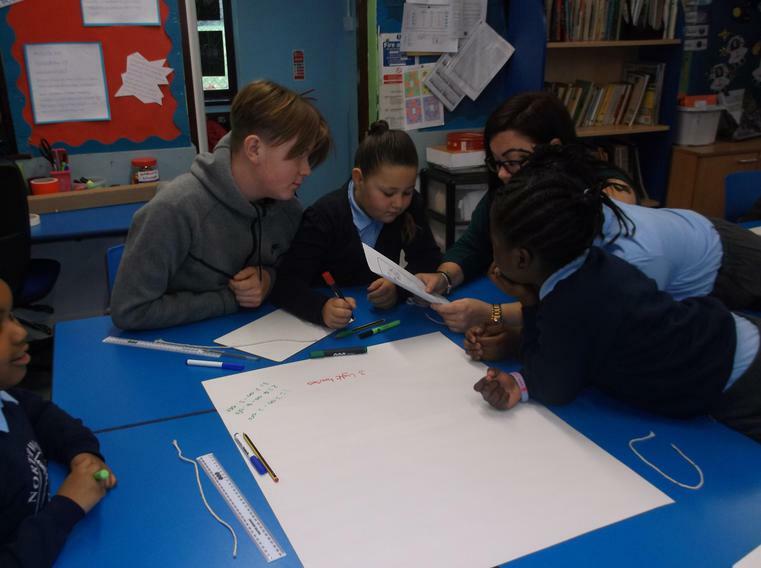 Parents and children joined in an activity of "what would you put in your suitcase if you were forced to flee suddenly". 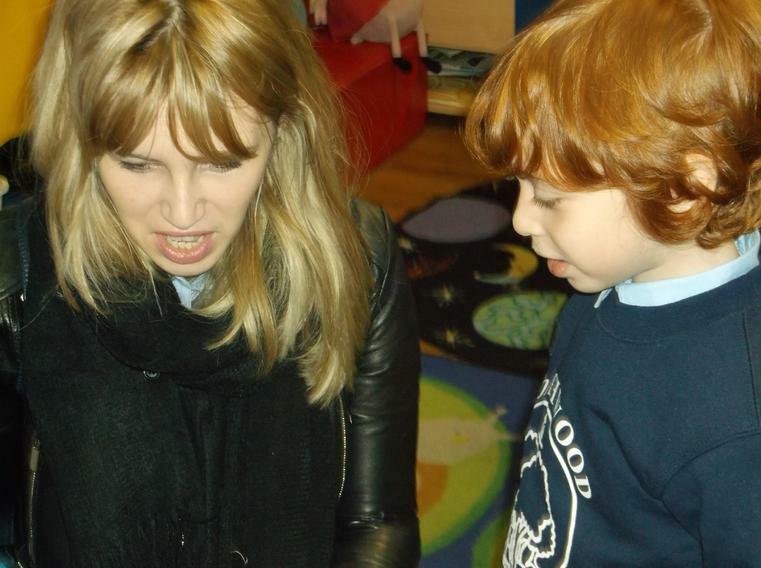 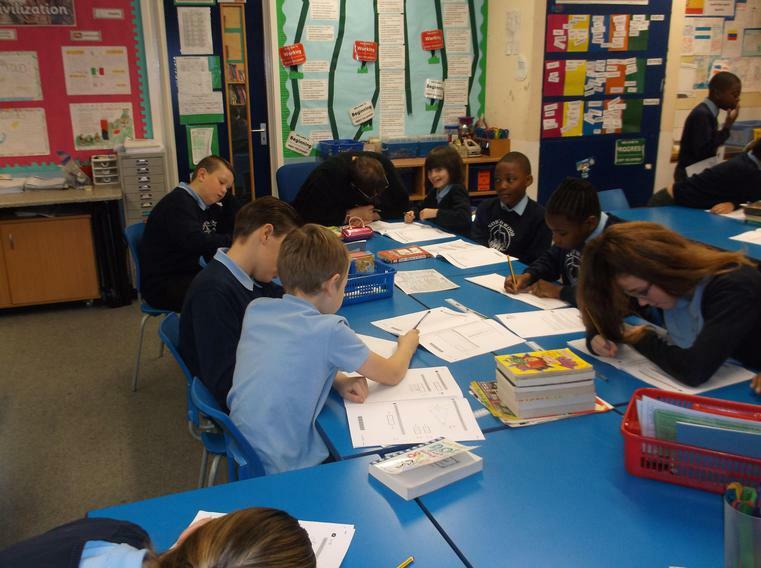 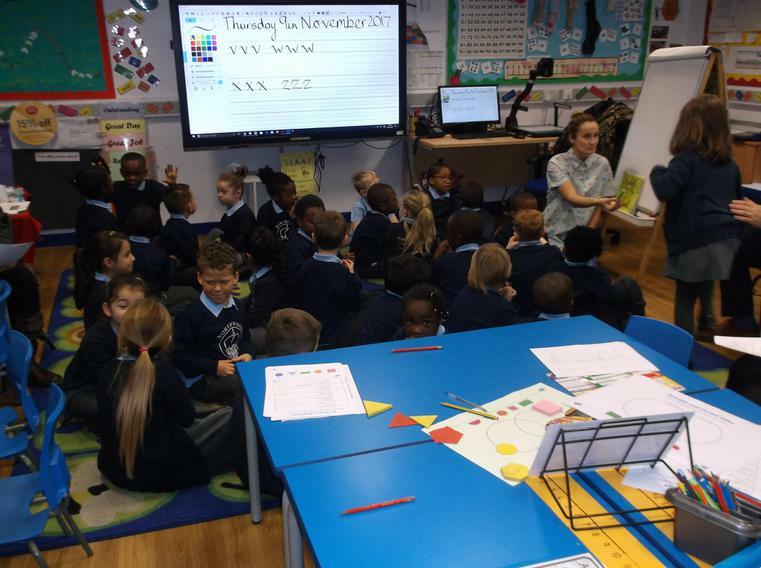 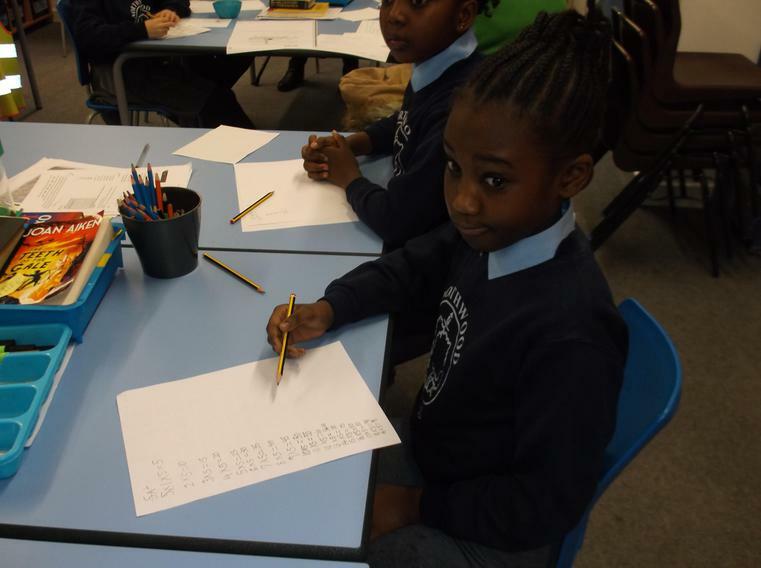 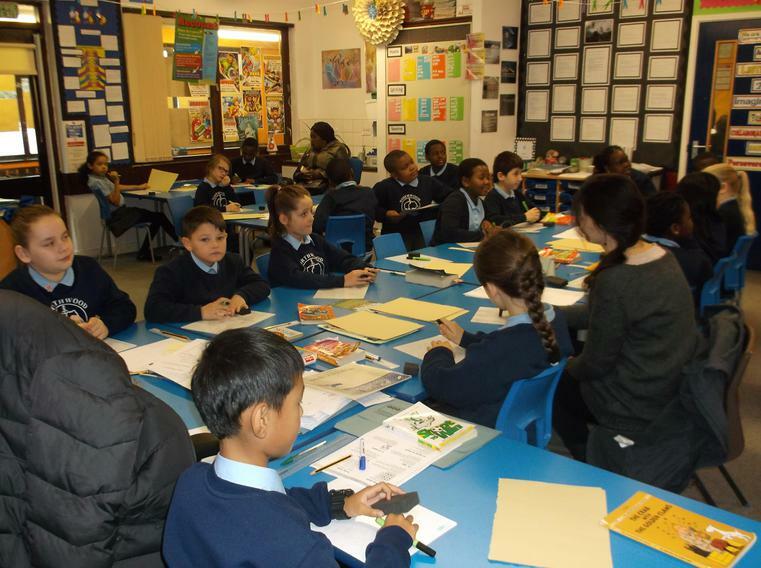 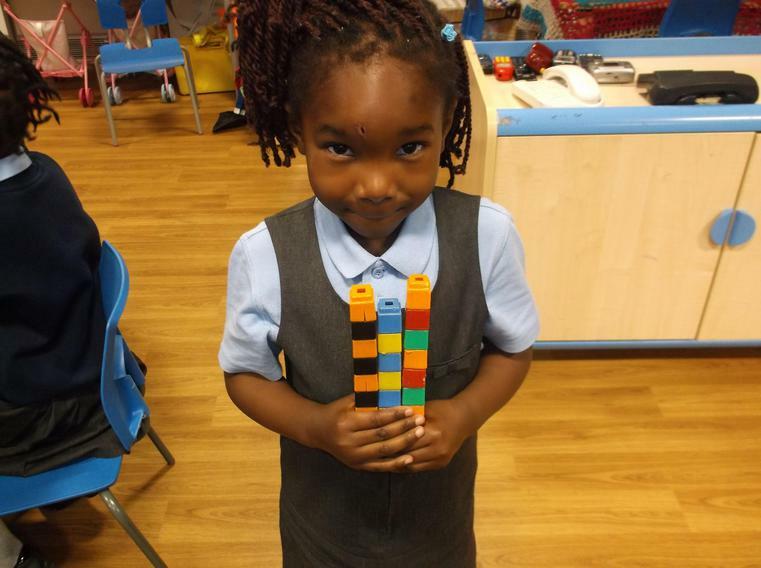 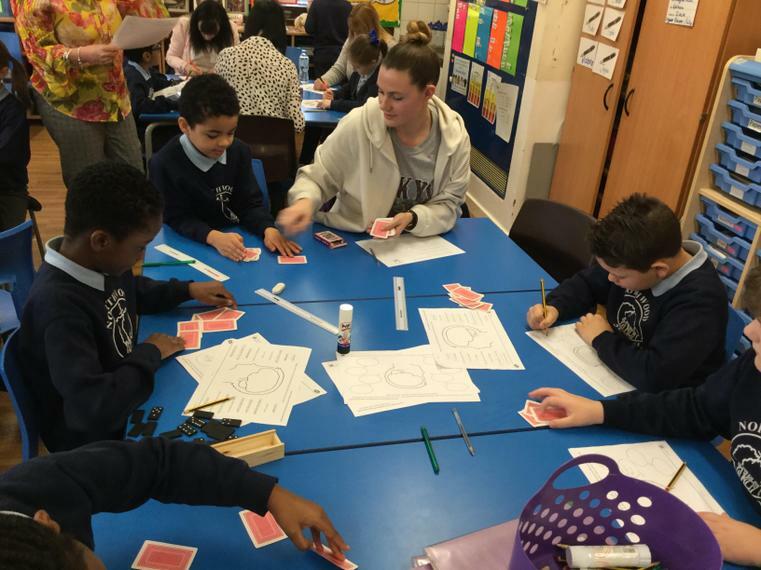 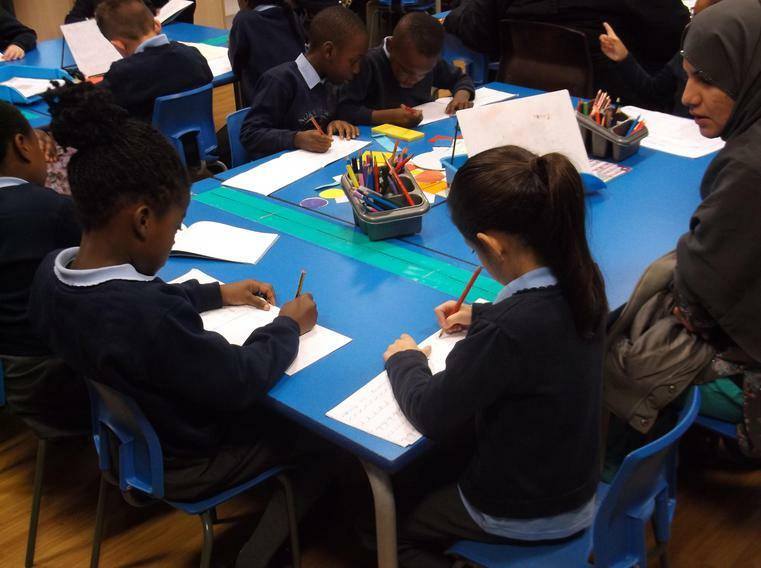 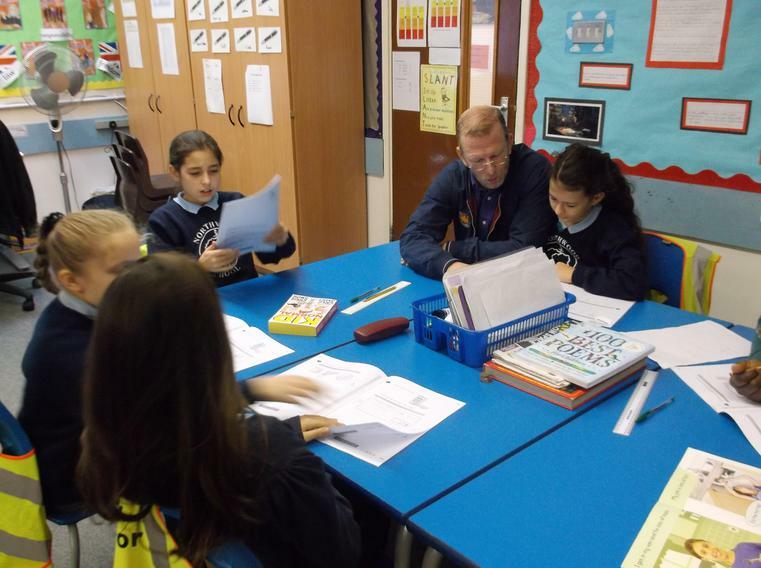 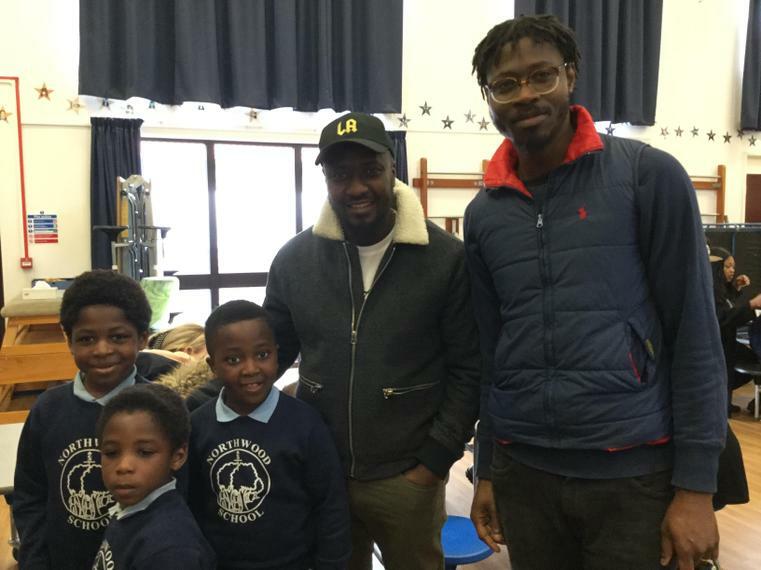 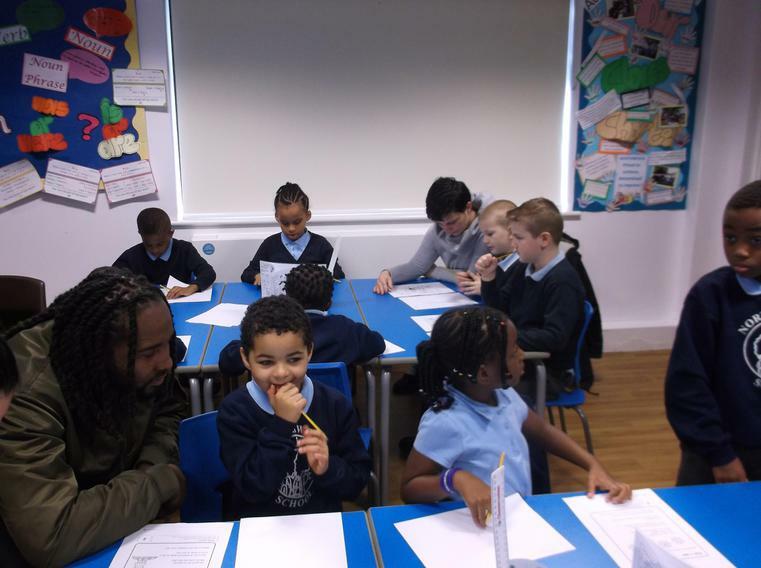 "All the learning activities impressed me. 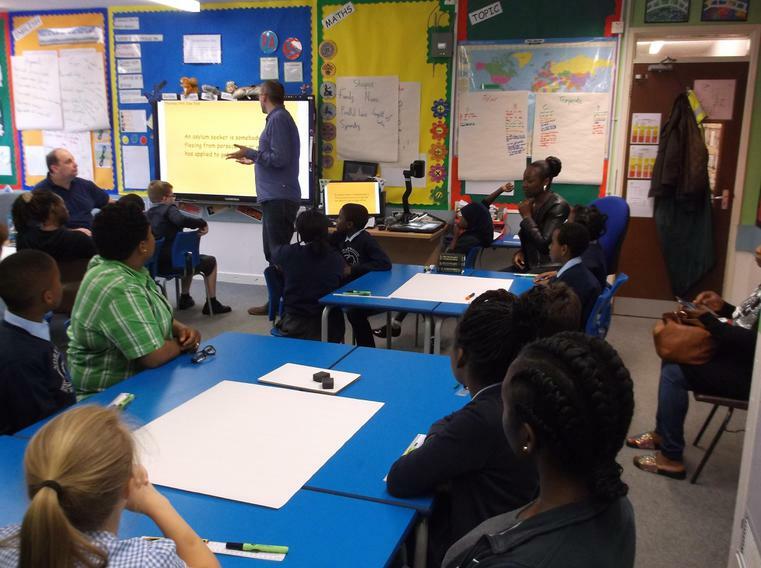 Very interactive and educative session." 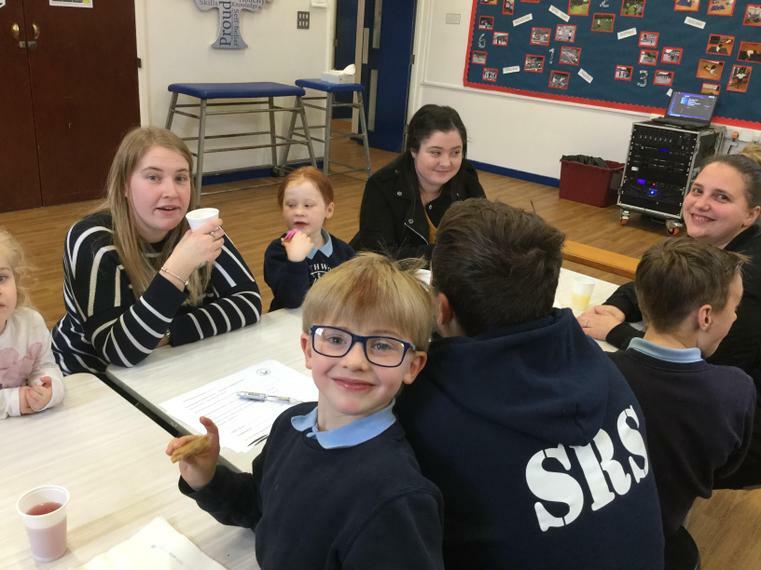 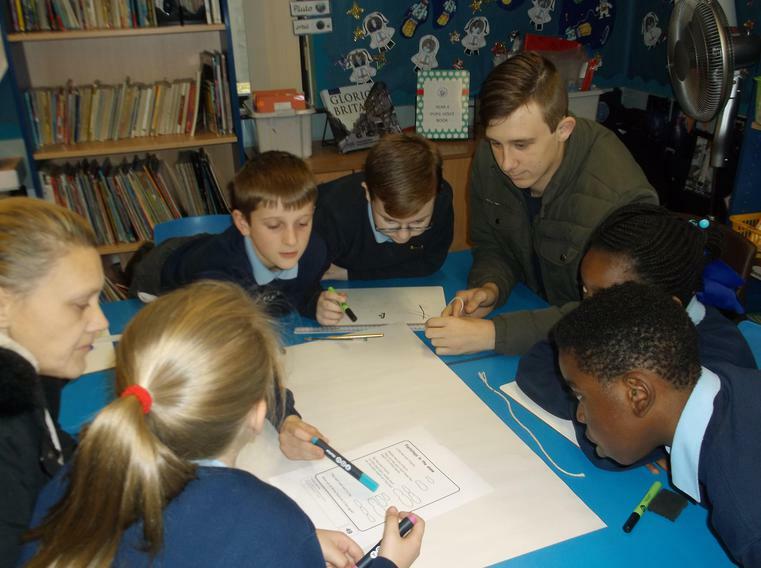 On 9th February 2018 we held a Stay and Learn session with the focus of Online Safety. 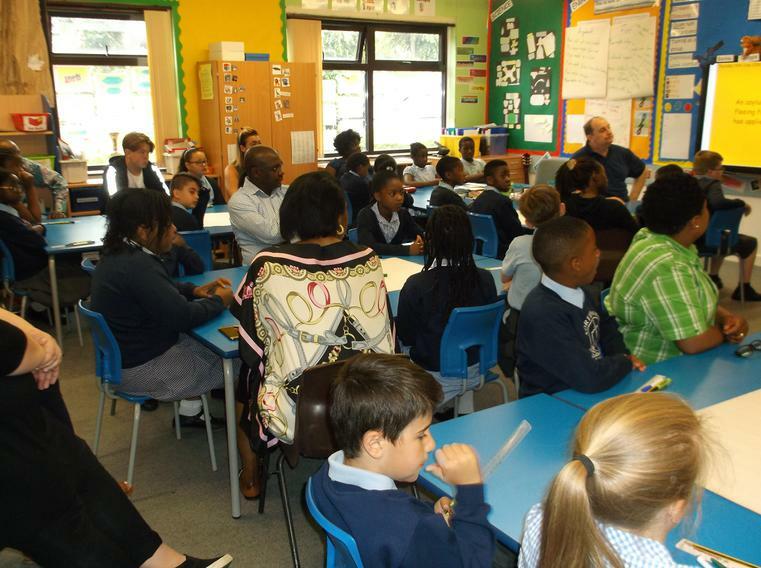 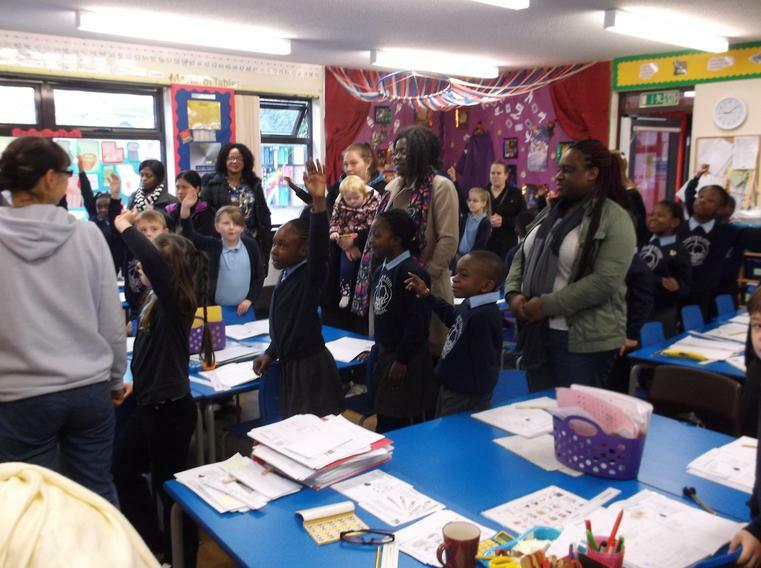 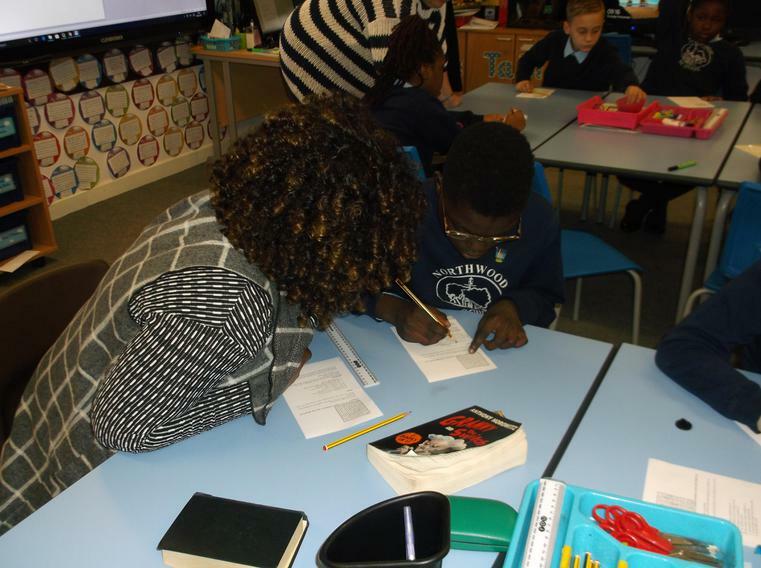 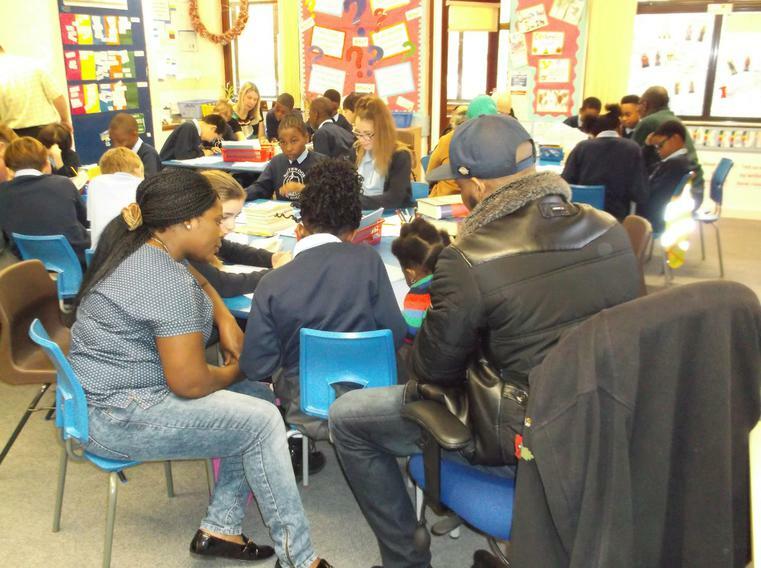 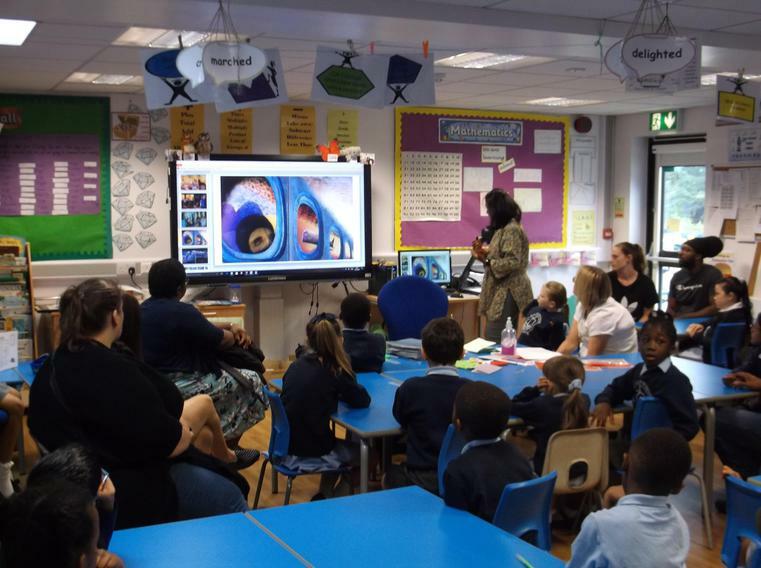 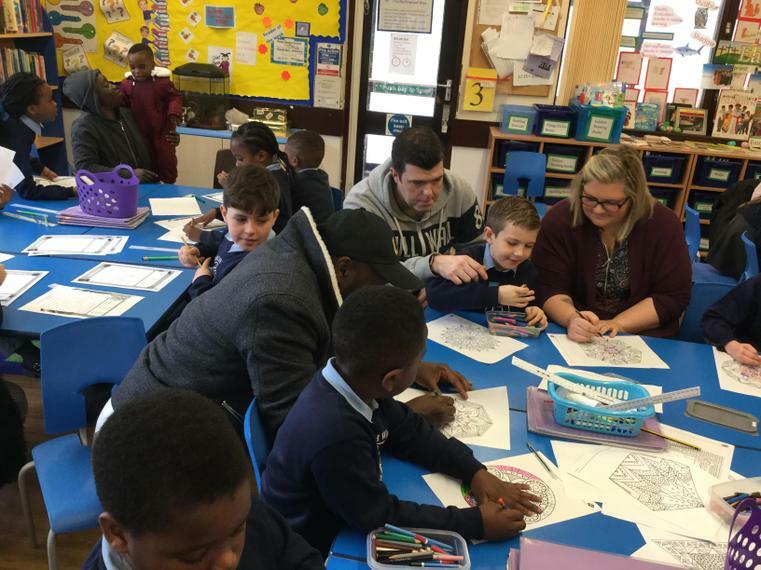 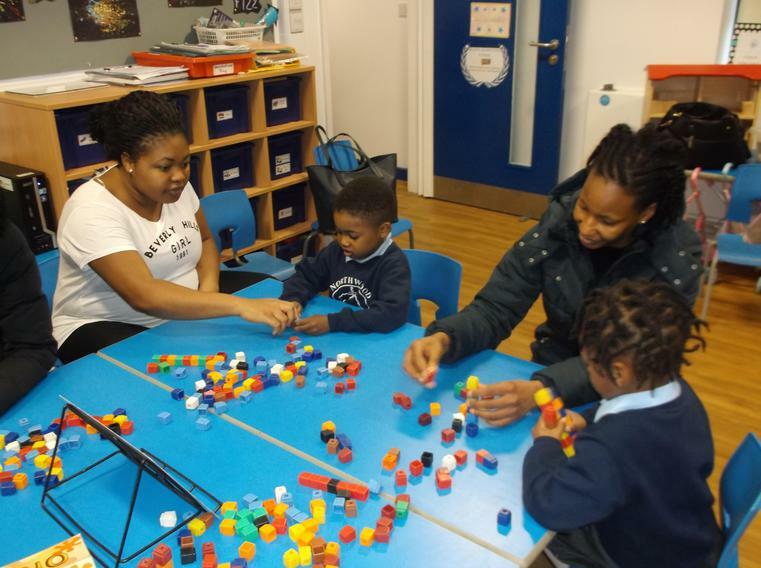 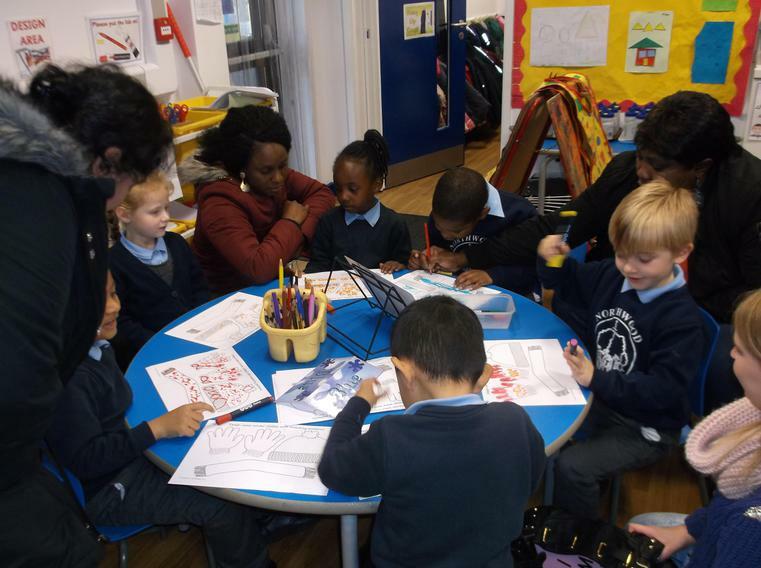 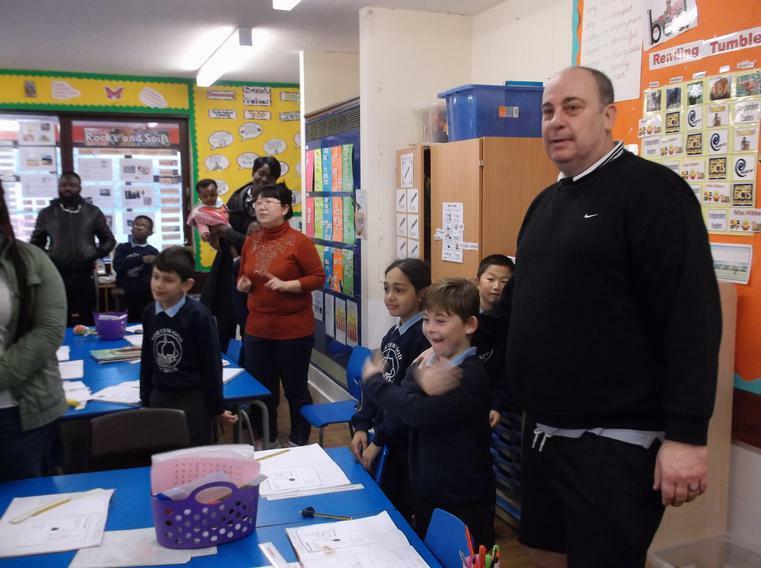 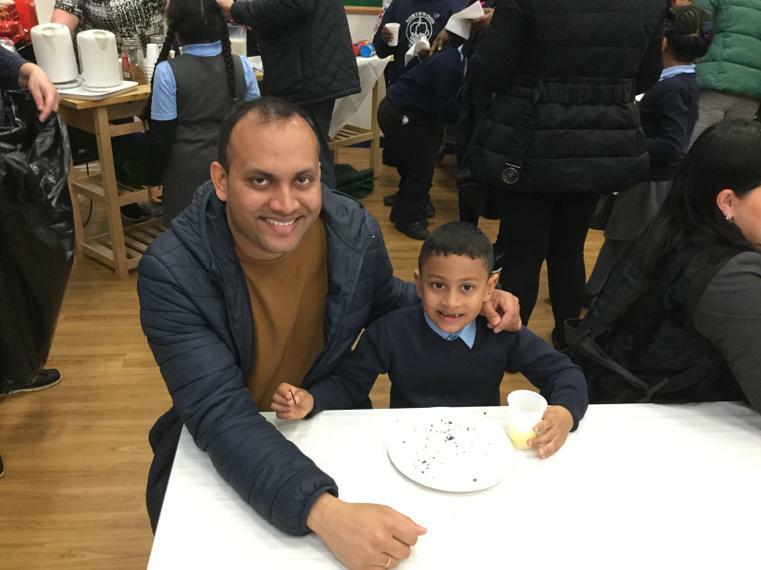 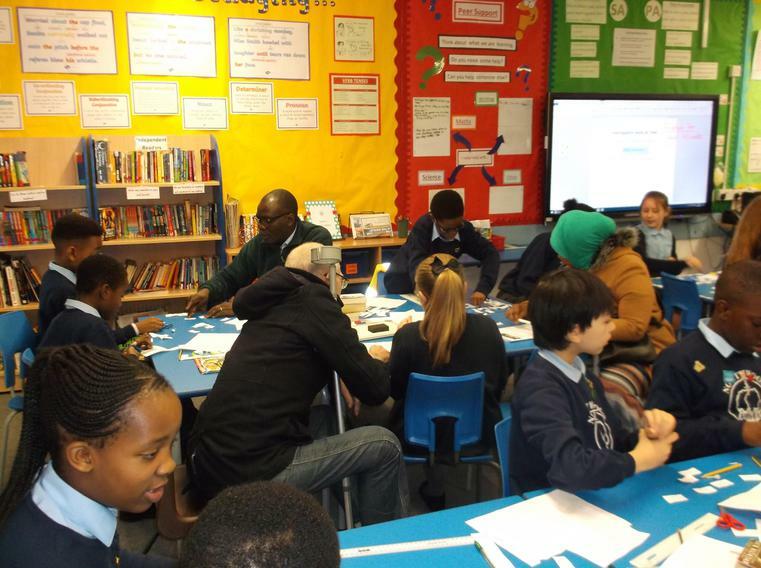 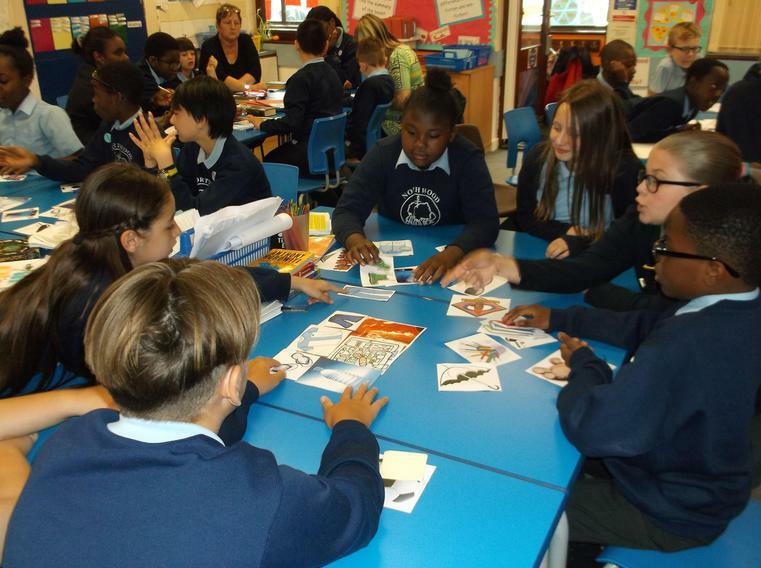 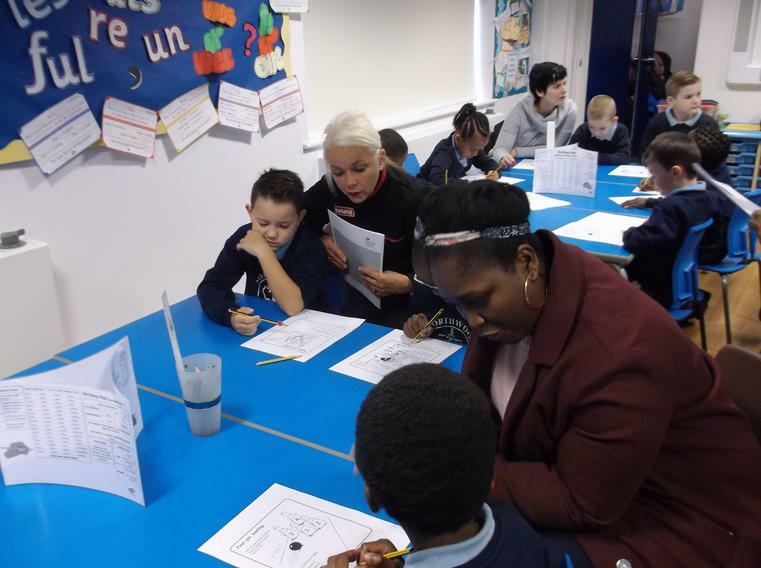 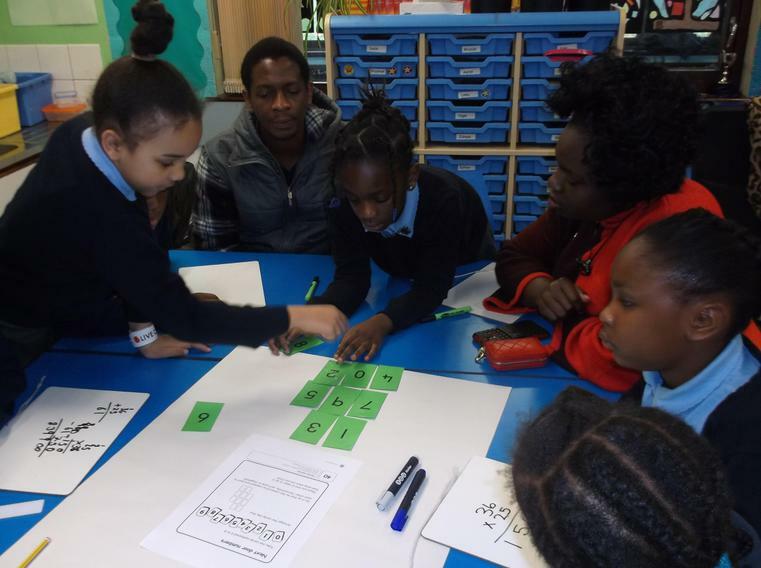 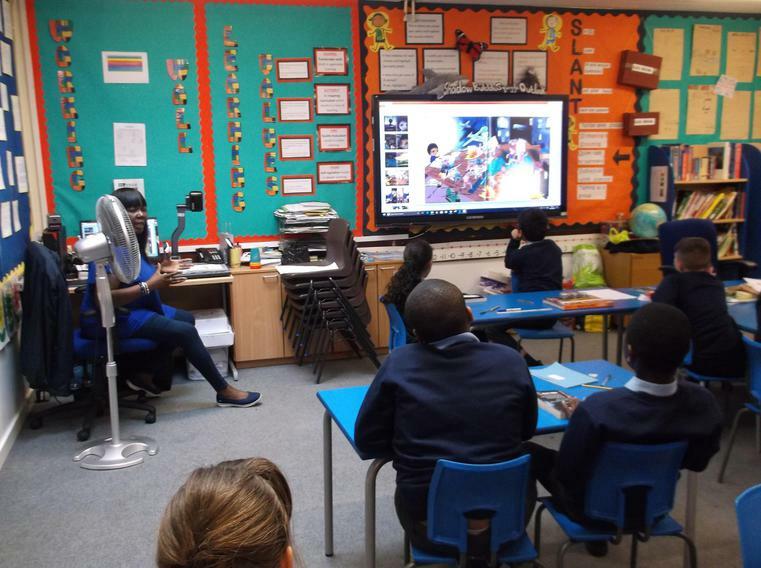 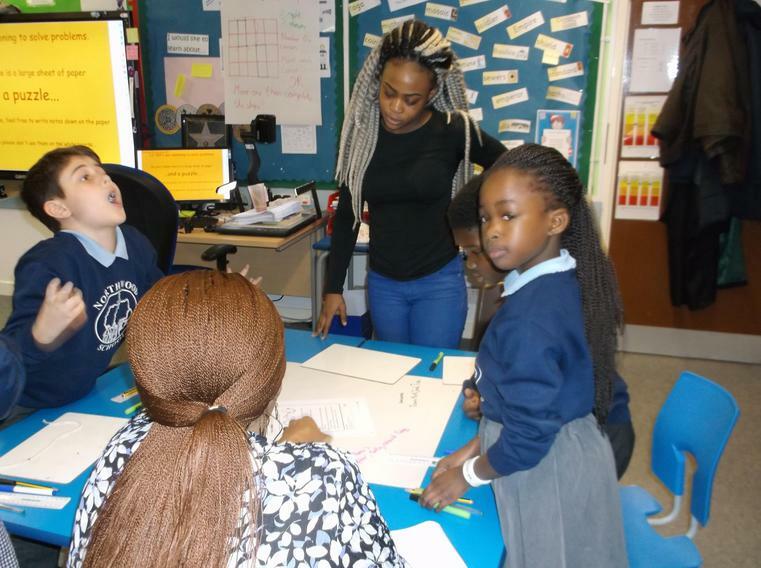 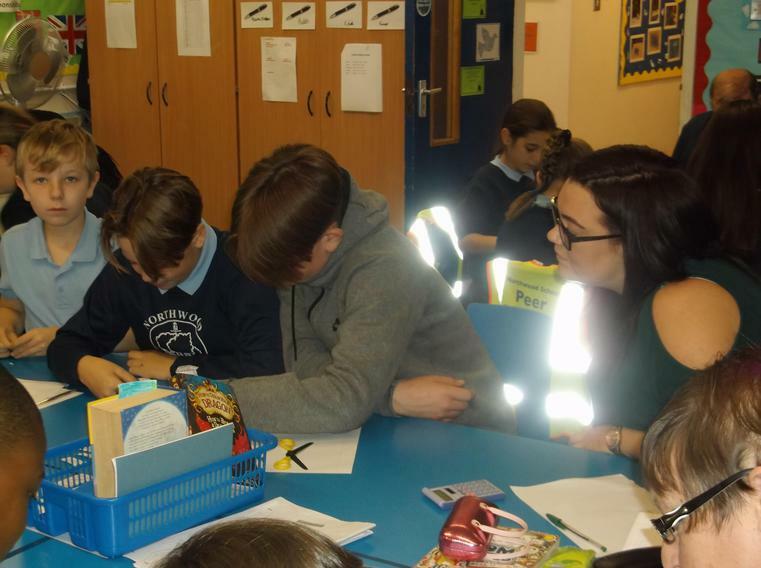 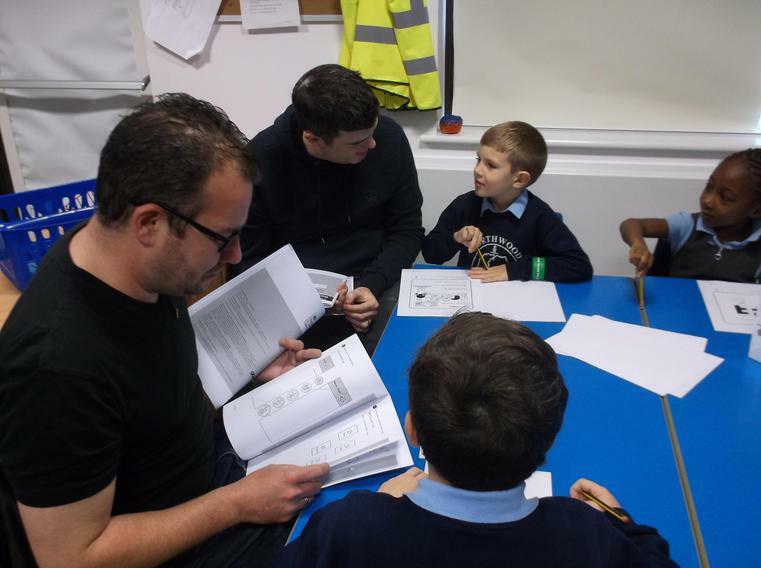 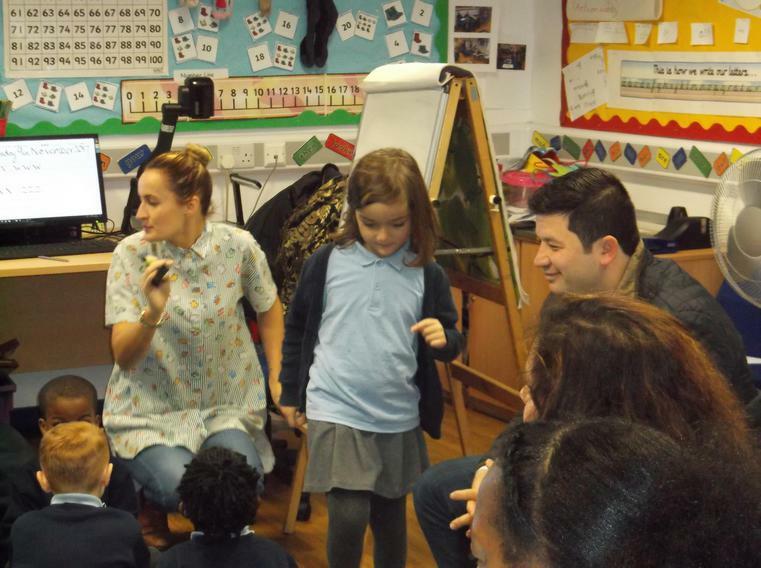 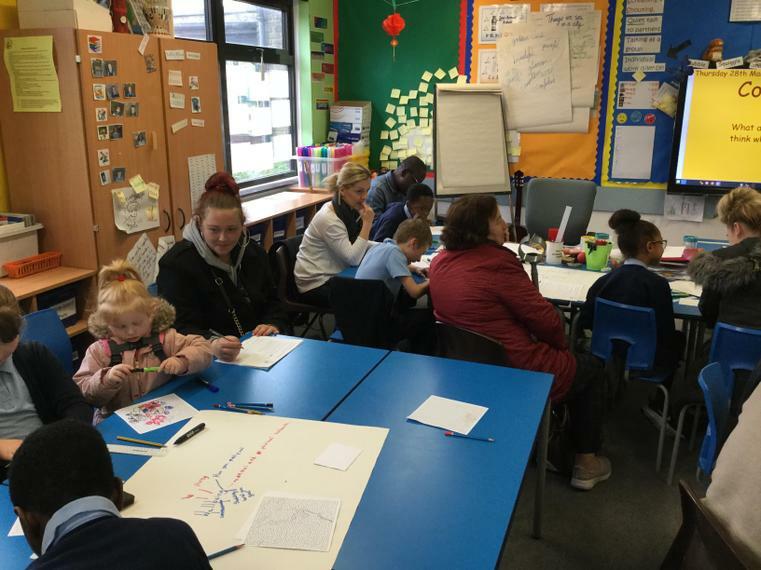 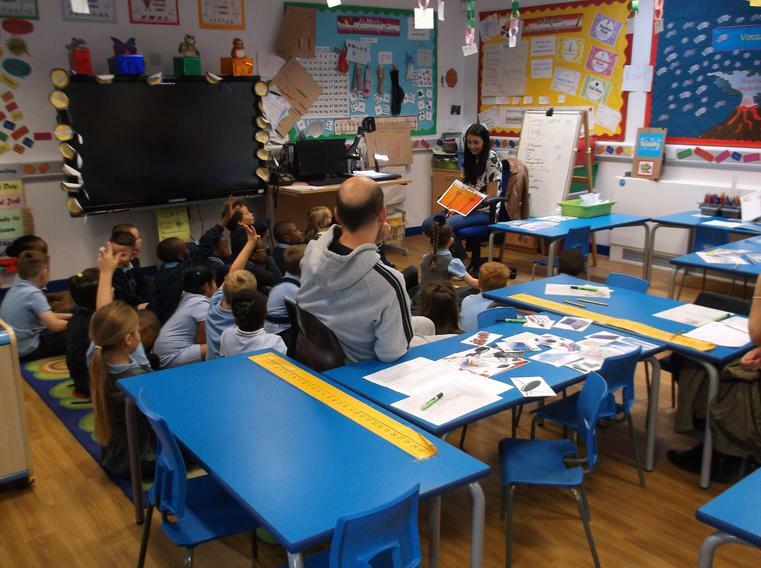 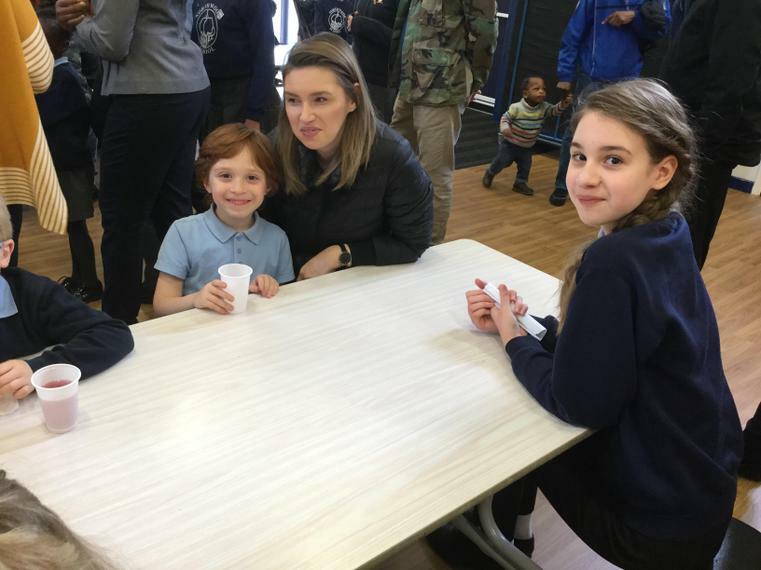 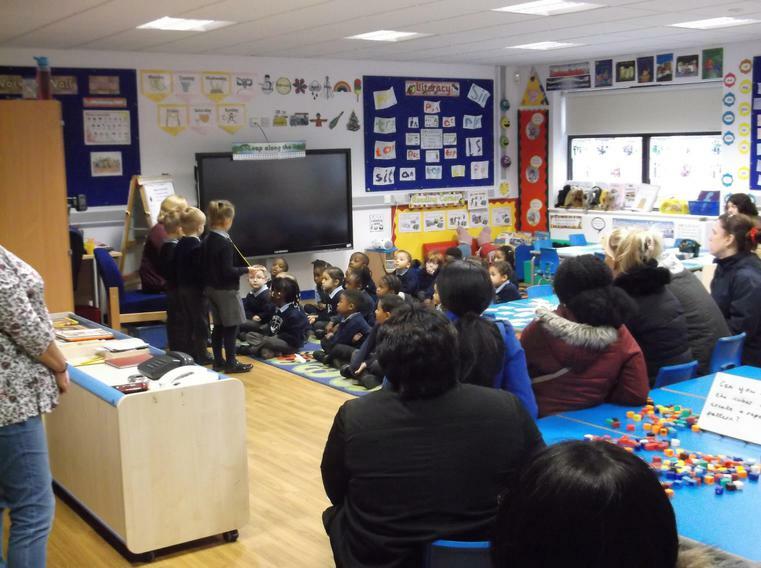 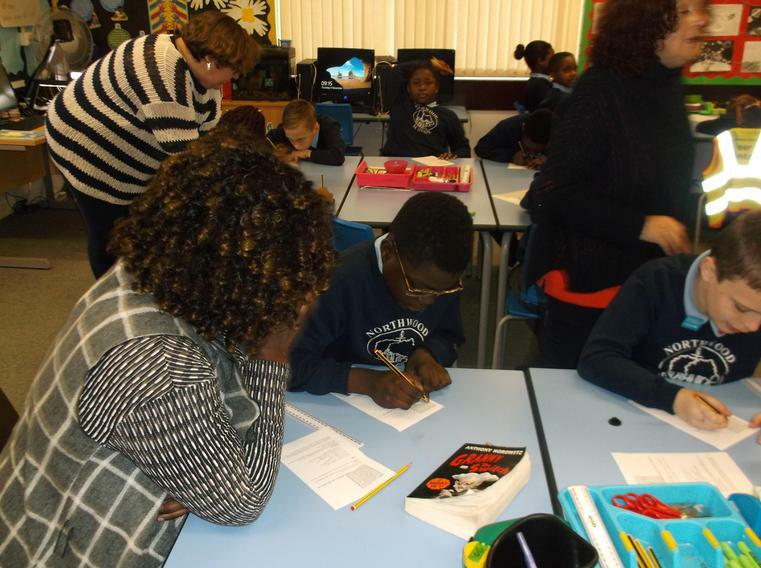 Parents from all year groups visited classes and joined in with games and activities around the subject of online safety. 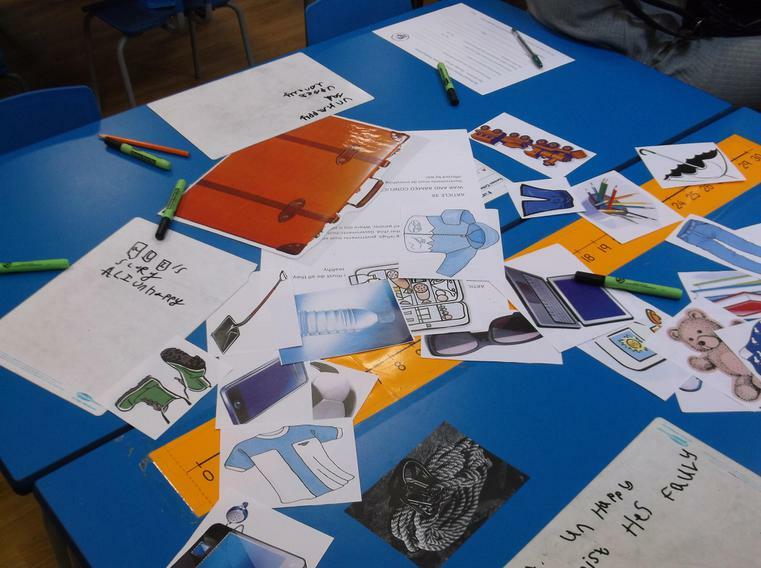 We were delighted to receive some excellent feedback from the session - some examples are shown below along with photos taken.